Home of Yellowjackets field hockey, women's soccer, men's soccer, football, women's track and field, men's track and field, lacrosse, intramural and club sports, special events, and open recreation. Fauver Stadium is named for Edwin "Doc" Fauver, MD, (1875–1949) who was a professor of hygiene and physical education, college physician, director of athletics from 1916 to 1945, and designer of the River Campus athletic facilities. The 5,000-seat stadium has been the host site for numerous conference and NCAA events including Liberty League football, lacrosse, field hockey, UAA soccer, NCAA soccer, and NCAA field hockey. Additionally, over 150 All-Americans have competed in Fauver Stadium at the University of Rochester. Renovated in the summer of 2012, this fully sodded 360’ x 225’ Kentucky Blue Grass natural surface is the perfect training facility for varsity athletics, club and intramural sports. 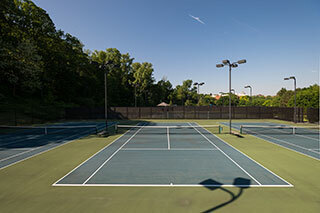 Home of Yellowjackets women's and men's tennis and named for legendary coach Peter Lyman (varsity coach, 1956–2000), the Lyman Outdoor Tennis Center has been instrumental in the development and success of the men's and women's tennis team at the University of Rochester. Throughout the years, more than 30 All-Americans have graced the courts of the Lyman Tennis Center. The courts have played host to multiple intercollegiate matches and tournaments, including the University-hosted Flower City Tournament and UAA Conference Tournament. Home of Yellowjacket Baseball, our varsity training facility, club sports, and intramurals, Towers Field has been home to numerous All-Conference, All-Academic and All-American athletes. The field has hosted multiple Liberty League Championship tournament games as well. The Boehning Varsity House opened in 2017 as the University of Rochester's newest athletic facility. 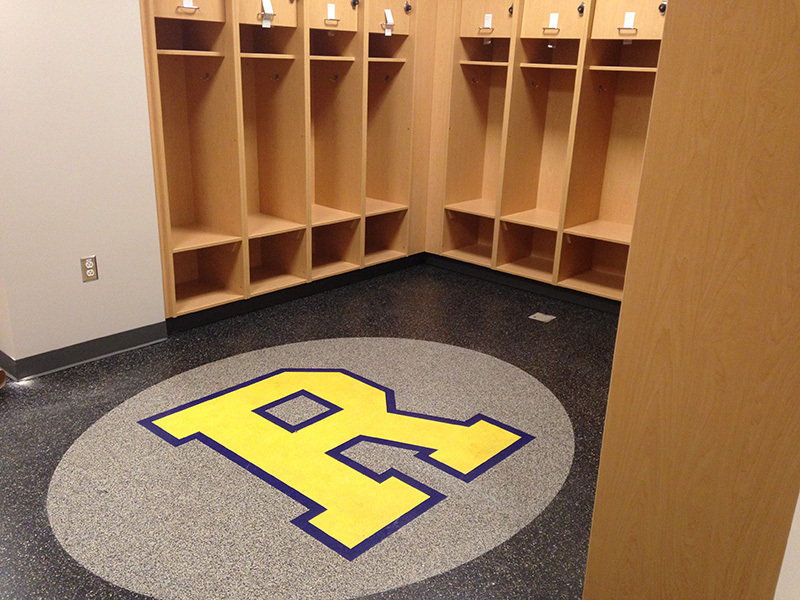 It features dedicated locker rooms for Rochester's outdoor sports, which include baseball, softball, men's and women's track and field and cross-country, men's and women's soccer, football, field hockey, and women's lacrosse.